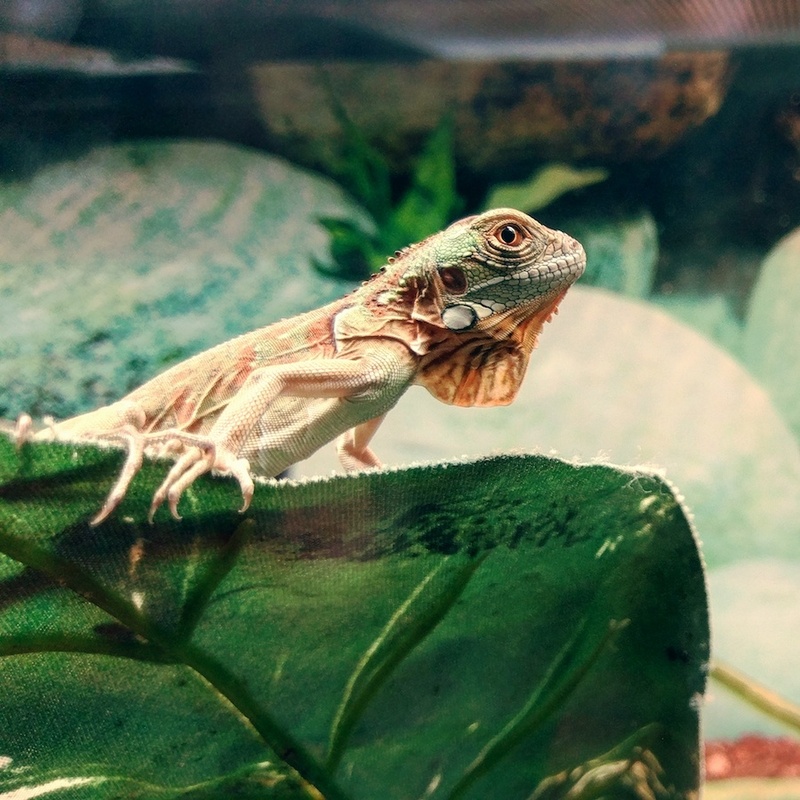 Enclosure: A twenty gallon tank will be acceptable for a baby iguana, but when they grow up they will need a custom enclosure about 12ft x 6ft x 6ft. Provide branches and other types of platforms as these creatures love to climb. They will grow to at least 6 feet so keep in mind that they are a handful. Heating and lighting: They will need UVB lighting and heat lamps. They hottest end of the enclosure should be 120F degrees while the rest of the enclosure should be around 80F. Diet: Mostly dark leafy greens and veggies. Some fruit from time to time. Iguanas cannot chew their own fruit so make sure their food is small enough the swallow whole. Calcium supplement should be added a few times a week as well.